Product prices and availability are accurate as of 2019-04-20 08:48:27 EDT and are subject to change. Any price and availability information displayed on http://www.amazon.com/ at the time of purchase will apply to the purchase of this product. 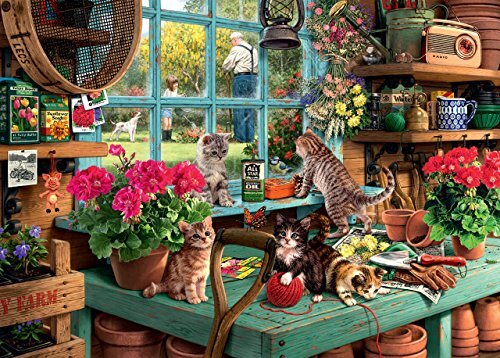 These cute kittens look like they are about to cause chaos in a very well ordered garden shed. One is taking the role of lookout, ensuring the others can have fun until the owner returns. We dread to think what will happen to the terracotta flowerpots, beautiful geraniums and other carefully stored bits and pieces. We hope the fascinating mix of vintage items, vibrant colours and lovingly drawn detail will give you plenty to enjoy as you assemble this 1000 piece jigsaw puzzle. Who knows, it may inspire happy thoughts of summers to come, or memories of those gone by. 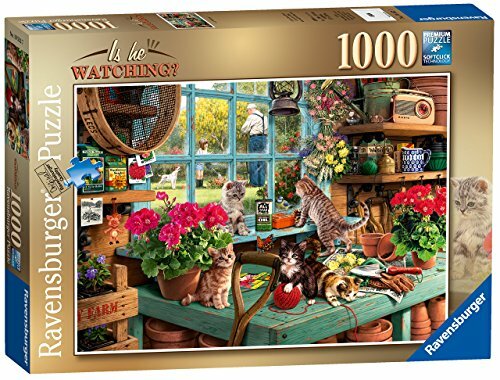 High quality 1000 piece cardboard jigsaw puzzle. The finished puzzle measures 70 x 50cm when complete. Suitable for ages 12 years and up. Made from strong premium grade cardboard, with linen finish print to minimise glare on puzzle image. 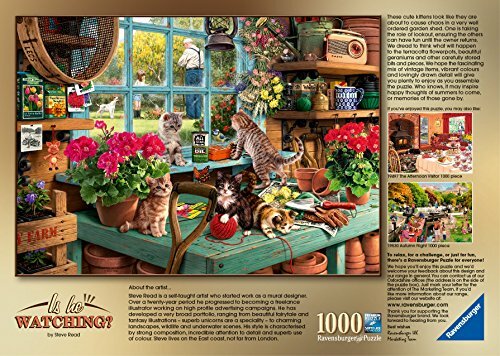 Puzzle image shows cute kittens High quality 1000 piece cardboard jigsaw puzzle The finished puzzle measures 70 x 50cm when complete. Suitable for ages 12 years and up. Made from strong premium grade cardboard, with linen finish print to minimise glare on puzzle image.